Cougfan.com published this Murrow News Service story by Braden Johnson on Sept. 6, 2018. PULLMAN — Staunch defensive play, which includes two shutouts in this young season, has vaulted Washington State’s undefeated women’s soccer team to a No. 17 national ranking in the United Soccer Coaches poll as they aim tonight for a fifth-straight victory. 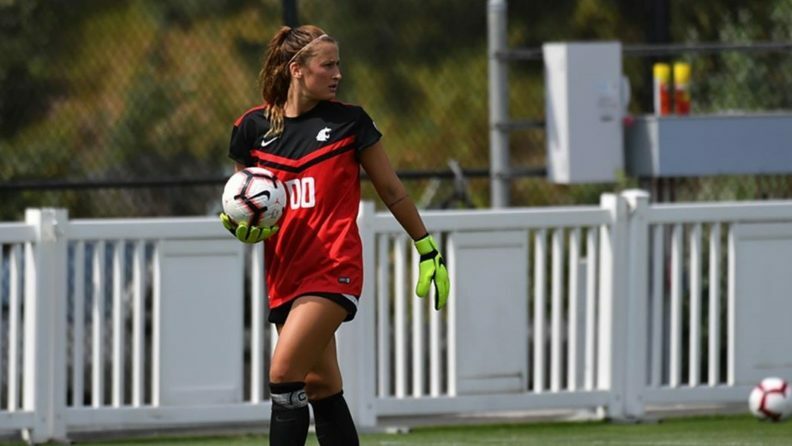 Fifth-year senior goalkeeper Ella Dederick has conceded just two goals through four games and two Cougs — freshman Mykiaa Minniss and senior Maddy Haro — Cougs have earned Pac-12 defensive player of the week honors. Read the full story on the Cougfan website.